Description: Our prompt service delivery car in 5 minutes. Ferrari 458 Italia is a sports car that combines the comfort and the pleasure of driving with strong emotions that only the Ferrari House can give. The aerodynamic gives a perfect grip on all types of asphalt, impeccable even on the rough road. Perfect braking stability in each type of asphalt and the absolute adherence even in curves challenging. 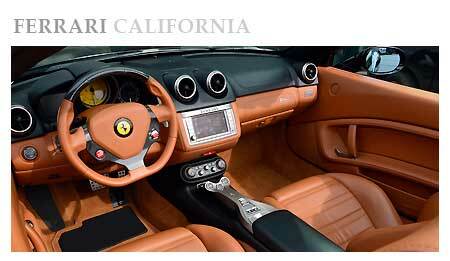 Description: Ferrari California, perfect car for your vacation in Italy. Rent a Ferrari California means driving a car with very high performance, with a impressive acceleration and an engine from the unmistakable sound. Designed by Pininfarina, the Ferrari California is recognized by the curved roof with particular lowered. Description: The unique design and extreme lightness perfectly combined, give sportiness and elegance. Ferrari 458 Spider is a luxury sport car coupe that offers to the driver spectacular performance and a considerable simplicity of driving. Description: The interiors reveal details of luxury, where the Italian design emerges with all its elegance. The speed and the engine sound is unmistakable. 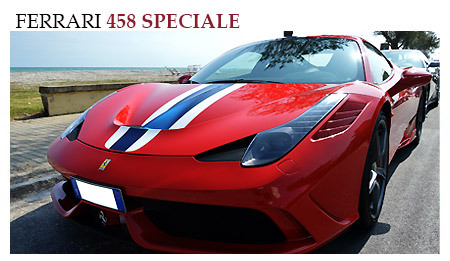 Ferrari is an incredible sports car, exclusive elegant and versatile. Rich innovation is able to meet the needs of the most demanding customers with a thrilling driving experience and a high level of comfort even for long travel. Technology and dynamism combine to provide a perfect driving comfort under all conditions. Top Luxury Service delivery and pick up your car at the places specified by the customer, with a service available 24 hours out of 24 (in night time). Sicily: Catania, Palermo, Trapani, Agrigento, Siracusa, Messina. 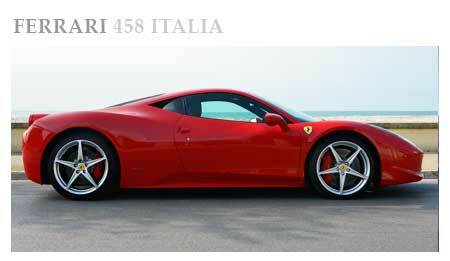 Luxury Car Rental Milan Would you like to organize a holiday to Milan? 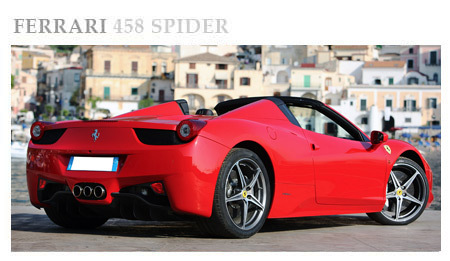 Our tips for visiting the most elegant and glamorous with Ferrari California or Ferrari 458 Italia. The aperitif is a ritual not to be missed in Milan. Do not miss the Armani Bamboo Bar for an early evening sparkling. The most fashionable and glamour dinner is definitely at Just Cavalli Restaurant and Club, to share together with friends and after dinner you can not miss The Club at Armani Privè. Reviewed by Alfred on Jun 30 . Description: I rented the car of my dreams for the weekend to Italy. Large interior space and incredible ease of driving, considering the size of the vehicle. Leather seats, very stylish. The dashboard is full of commands for maximum comfort. The seat can be adjusted to the millimeter to guarantee pleasure in driving.